Oriental Dragon perched on a wintry peak. Hope to complete one for each season. Coypright 2004 Frank Gunter. INCREDIBLE images!!! Wow!!!! 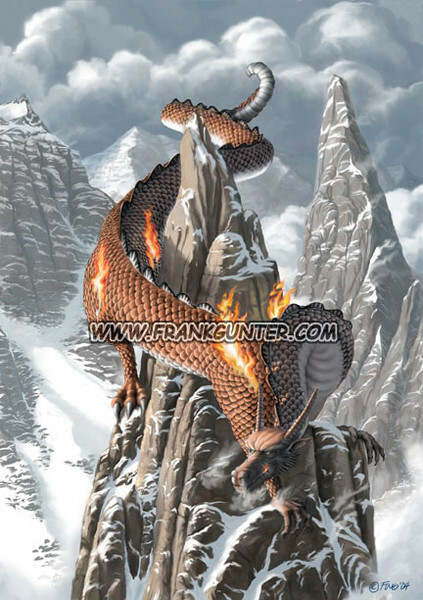 I LOVE your dragon in the snowy mountains! It remimds me a little of the cover of a great book I once read. Masterful stuff! Artist Reply: Thank you! I still want to do some more in this series...keep getting distracted by other projects though!